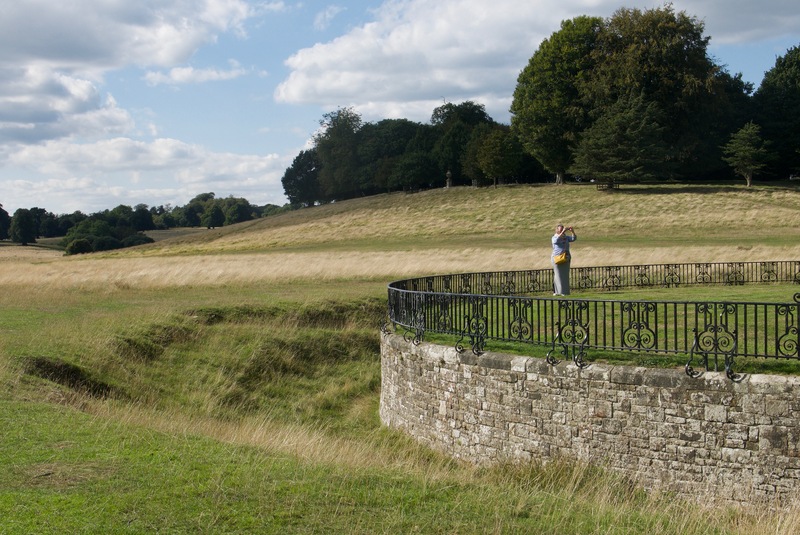 On a sunny day, what could be more agreeable than strolling through a landscape designed by Lancelot ‘Capability’ Brown? Earlier this week, two friends and I took advantage of the fine weather to do just this when we visited Petworth House in Sussex. The landscape there is one of the finest surviving examples of Brown’s work. Walking through the 700-acre park, the surroundings appear to be totally natural, but in reality Brown shaped each part of the land with his customary flair. This view from the house gives no hint of what is waiting near the small groups of trees. A flat expanse in front of the house stretches across tawny fields to spots of trees and groves in the distance. Hidden behind rolling hills is a serpentine lake typical of Brown’s work. The shoreline of this Upper Pond curves in and out gently, and trees strategically positioned suggest that it might continue forever. Water sparkled in the sunlight, imbuing the lake with a touch of magic. Many of the trees at Petworth seem old enough to have been planted in Brown’s day. They are magnificent, like elegant ladies who stand erect even while showing their age. 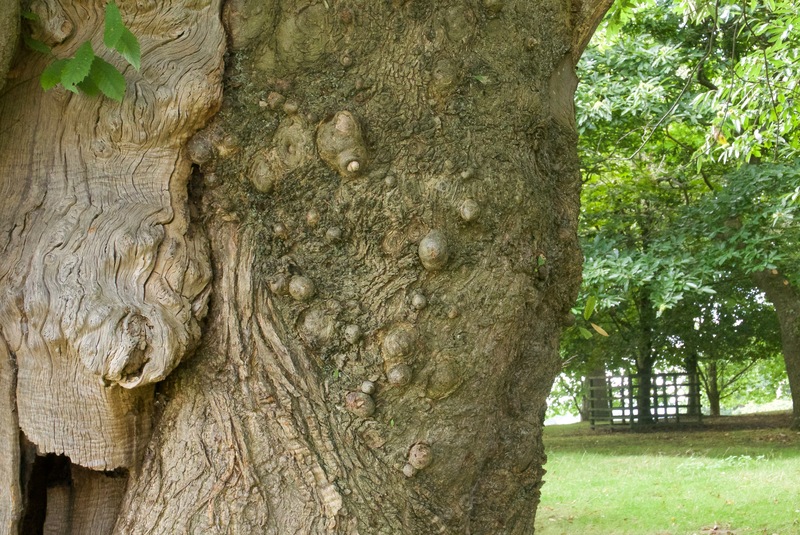 The trunk of this ancient chestnut tree was knobbed and knotted. It was one of a dozen or more in a grove on top of a hill overlooking the Upper Pond. Equally elegant in its old age is an urn nearby. 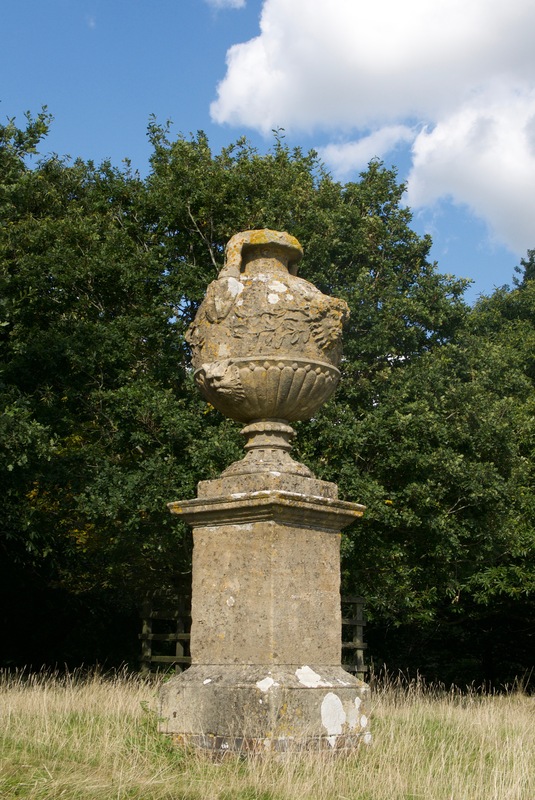 Weathered but still beautiful, this urn near a grove of chestnut trees is positioned to attract the eye. Many garden historians do not admire Brown’s landscape parks and criticize him for destroying important examples of garden history. 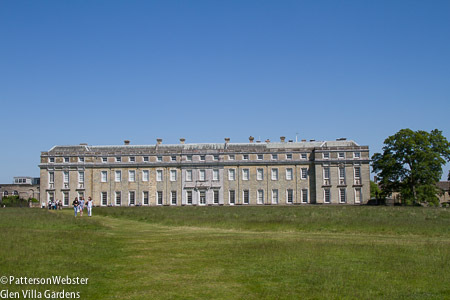 Working at Petworth in the 1750s and 1760s, Brown wiped out the formal gardens designed by the royal gardener, George London, that included ramparts, terraces, parterres, an aloe garden and summer house. This narrow stone terrace is all that separates the house from the parkland. Along with creating the Upper Pond and a smaller Lower Pond, Brown designed new carriageways to reveal the ‘capabilities’ of the site. 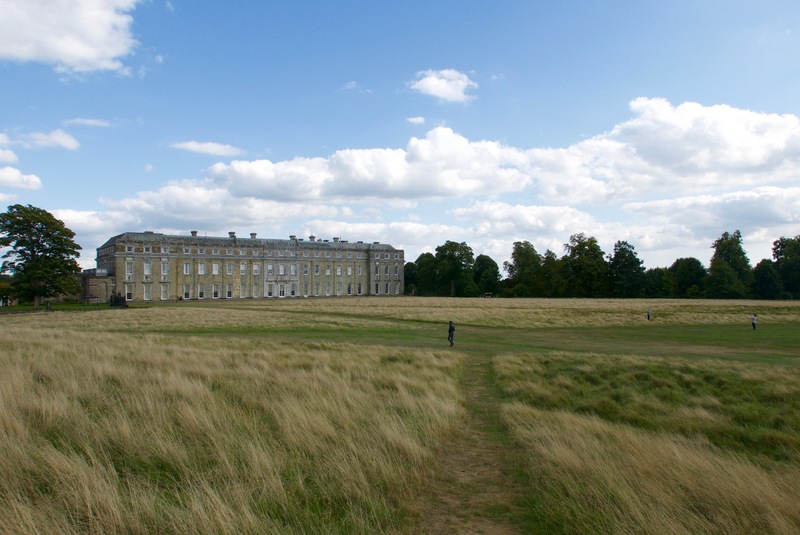 These new routes offered visitors glimpses of the house through newly planted trees, so that Petworth’s full splendour could be admired on arrival. The house was built in 1682 when heiress Elizabeth Percy, daughter of the Earl of Northumberland, married Charles Seymour, 6th Duke of Somerset. The art collection includes major works by Van Dyck, Turner, Reynolds and Gainsborough. Brown also created a 30-acre Pleasure Ground with serpentine paths and informal planting, set off from the deer park by stone walls and a ha-ha, one of his signature features. A woman standing inside the pleasure garden gives a sense of scale. The grove of chestnut trees is on the hill behind her. 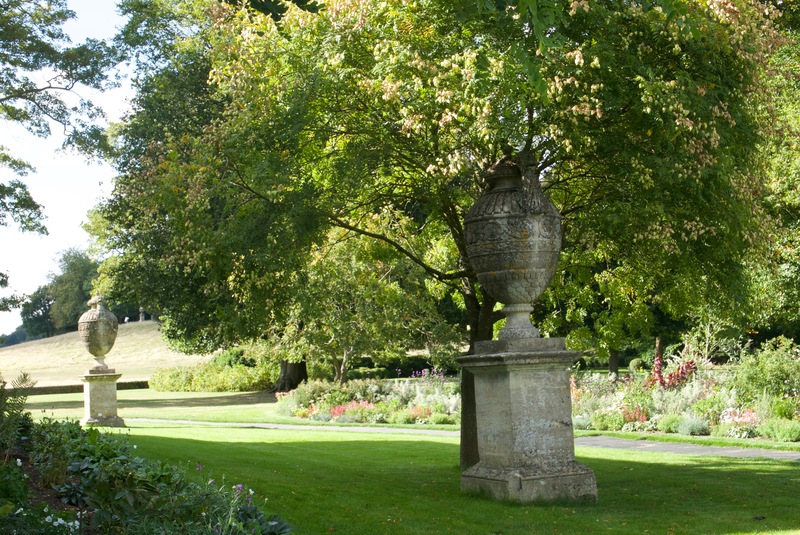 The Pleasure Grounds provided the ideal location for the 3rd Earl of Egremont, a patron of plant collectors, to display his collection of North American trees and shrubs. Over the years, the area has gone through periods of development and stagnation. 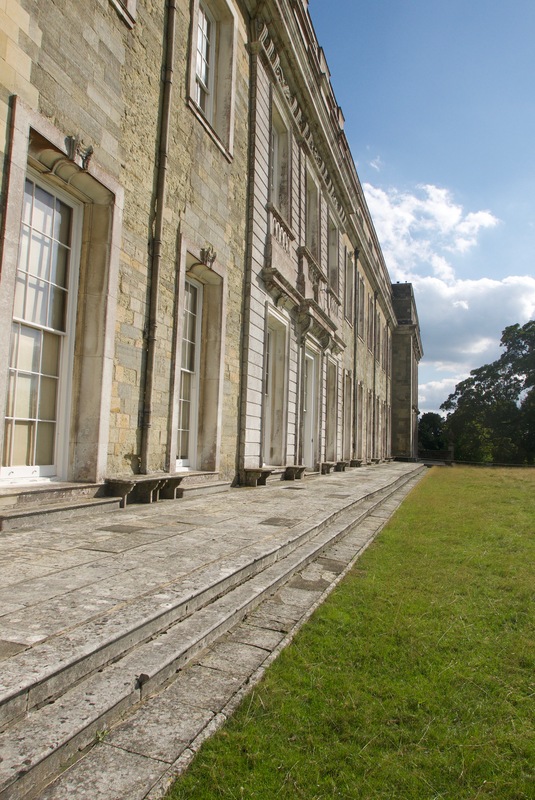 The National Trust, owner of the property, is now working to renew the area in order to accurately display the historical layers of the Pleasure Grounds and the important periods of its development. One of those area being recreated is the view towards the Ionian Rotunda. Yews have been planted to emphasize the view-line towards the Rotunda. Following Brown’s advice, the Rotunda was built in 1766 in imitation of the Temple of Vesta at Tivoli, thereby adding a flavour of Italy, something which was seen highly desirable at the time. 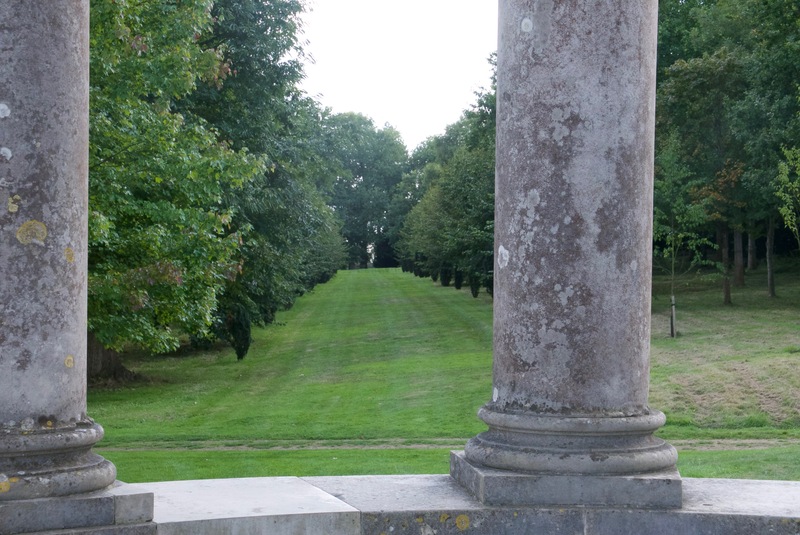 The view from the Rotunda along the yew-lined allée gives an idea of the grandeur of the walk. Pleasure Grounds were designed to arouse a variety of emotions in the ladies and gentlemen who strolled the serpentine paths. 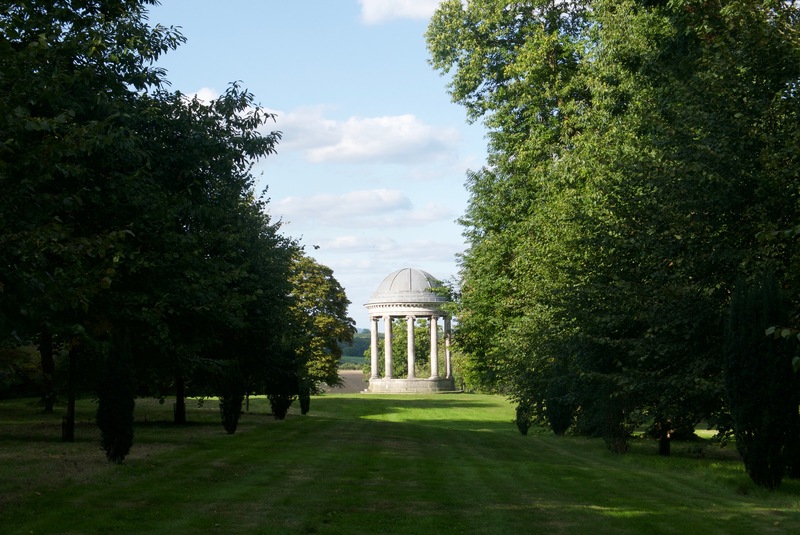 The Rotunda is one of two focal points in the Pleasure Grounds, the Doric Temple is the other. 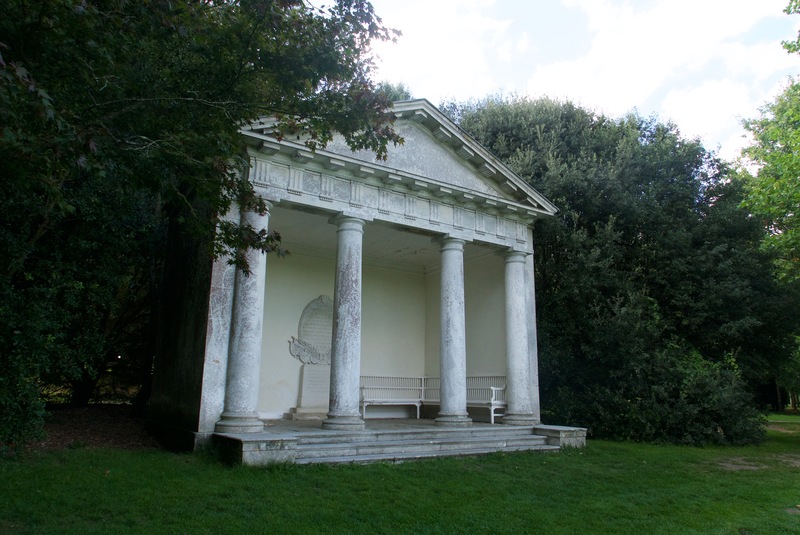 Originally situated in the Park, Brown relocated the temple to the Pleasure Grounds in the 1750s and it was moved to its present location in 1875, where the view over the countryside is particularly fine. With its memorial to Henry Scawen Wyndham (1915-1942), who died in action at El Alamein, the temple adds a bit of gravitas to the grounds, evoking dignity, nobility and antiquity. From this Doric temple, the view over the countryside is pure pastoral. 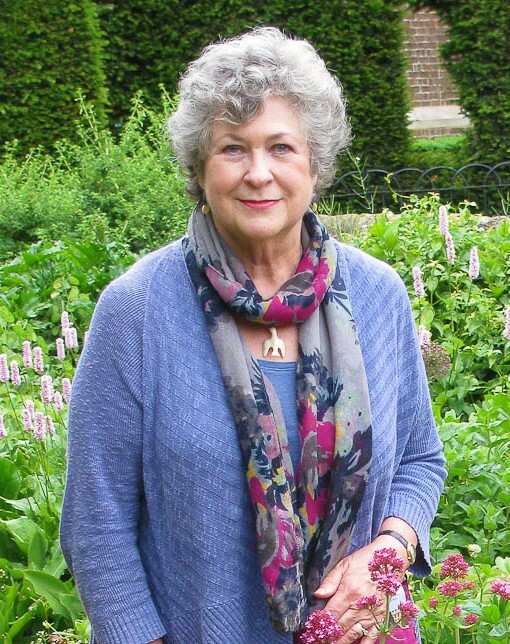 Flowers do not play a major role at Petworth. 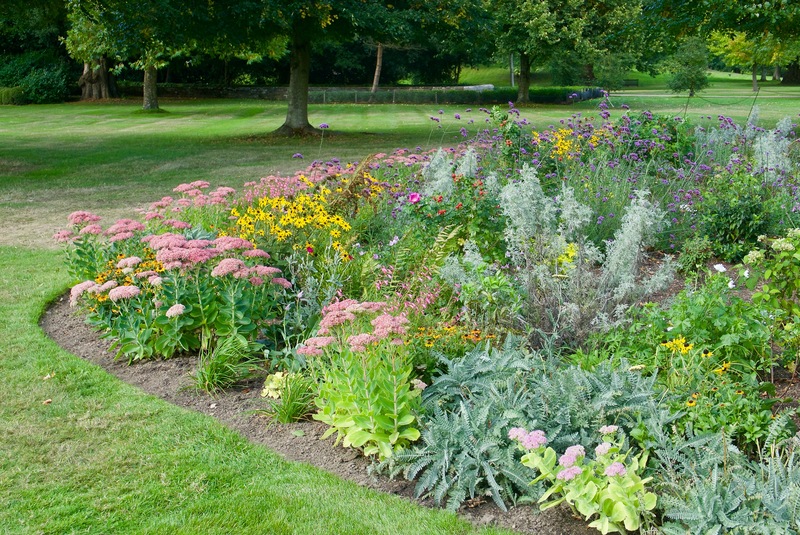 A narrow border edges one of the out buildings and a newly planted bed, looking a bit out of place, sits at one side of the house. This unimaginative planting scheme doesn’t live up to the dignity of the house and parkland at Petworth. More impressive is the pair of urns situated nearby. Urns on pedestals match the grandeur of the house. 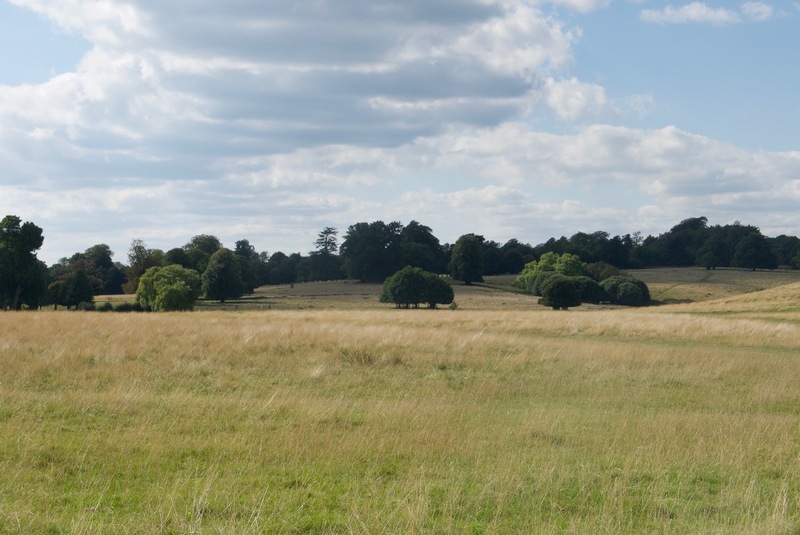 The parkland is home to a herd of over 900 fallow deer, complimenting the idyllic ‘natural’ style that Capability Brown is lauded for. The deer have plenty of room to roam — the wall around the 700-acre deer park is 14 miles long. 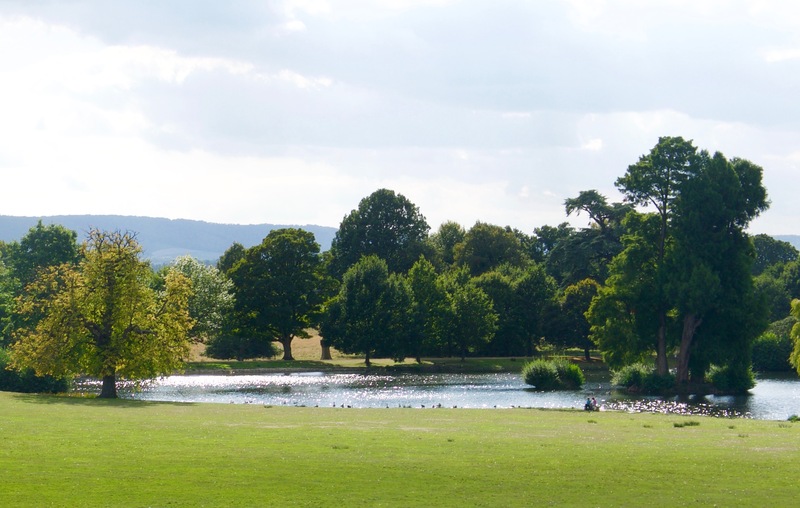 The Park and Pleasure Grounds at Petworth were one of Capability Brown’s earliest large-scale commissions. Considered by many to be his masterpiece, the site is well worth a visit.